Discover how it all began. Sophie: It would be amazing if someone could get these to the mainland for the last post. Fernando Cienfuegos: The pleasure and privilege will be mine. Sophie: Señor, you're the manager. I need you to stay here and make sure this place is ready for the most incredible opening party of all time. Fernando Cienfuegos: Whatever you dream, Sophie, we will make real. Sophie: [looking at photo of her mother] This was her dream. I'm just trying to see it through. Fernando Cienfuegos: You've done much more than that. 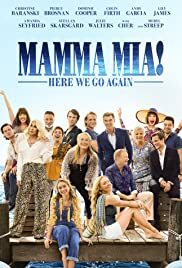 After 10 years we all should know the Mama Mia! plot and characters. It was refreshing to watch the "fore-story" with new actors, interspersed with the original cast. 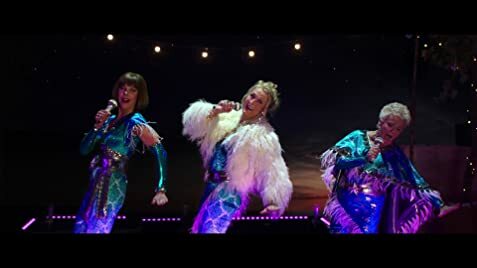 The constant transitions/fades between 20 years before and present required attention, but was fascinating, eye-riveting and ABBA's music and cameo never fail. Everyone I have talked to, who has seen, it want to go back one more time. (Hint: Don't leave until ALL of the final credits have rolled).